Buying a car is one thing, but owning a car is something else entirely. We're sure you'll want to know the costs of any service before you book it in. The cogs in our heads have been turning and we’ve come up with a solution we think is pretty clever. 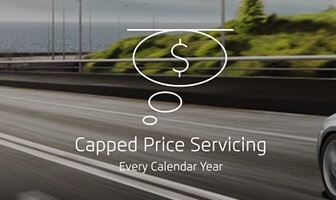 Capped Price Servicing, Every Calendar Year* means you’ll know upfront what every service for the first six years of your car’s life will cost you. No hidden expenses, no nasty surprises. To carry on the spirit of transparency, we like to take you along for the ride during your scheduled services. We’ll have a Service Advisor perform a check on your vehicle with you present, then return it to you and discuss the invoice when the service is finished, making sure you know exactly what’s going on with your car. For further peace of mind, have you considered our ŠKODA Service or Care Pack packages? For more information, please contact Orange Škoda.